Many of our Black Lab and Linspire customers have asked us; Can you implement the Microsoft Office ribbon in LibreOffice? 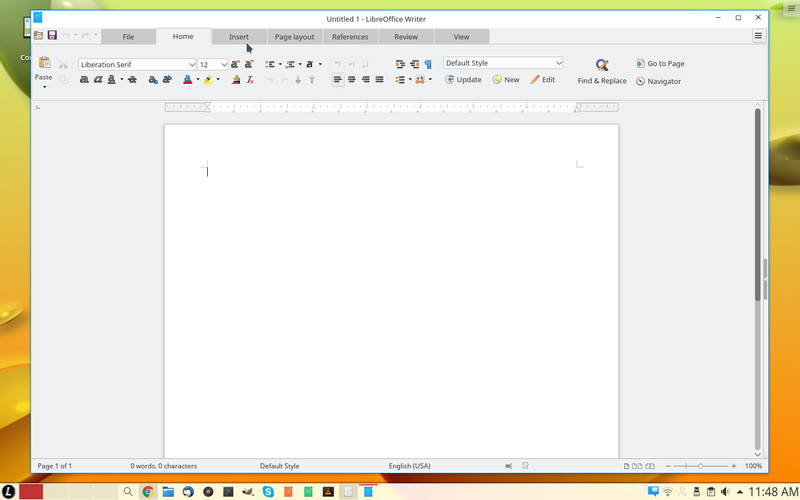 Well we did our research and LibreOffice 5.3 and 6.x have a "ribbon" type interface called the Notebook Bar. Click on the menu Tools > Options Select ‘LibreOffice’ > ‘Advanced’ Check ‘Enable Experimental Features’ Press ‘OK’ Atfer clicking okay you’ll be prompted to restart LibreOffice (yep the app, not your PC) so that the changes you requested can take effect. Once the suite pops back up you’ll instantly notice that things look no different to how they did before. Head to the new View > Toolbar Layout menu. libreoffice view toolbar layout menu You’ll see a set of 4 toolbar layouts in LibreOffice 5.3: Default (Classic Toolbar) Notebookbar Single Toolbar Single Toolbar + Sidebar. Choose Notebook Bar.